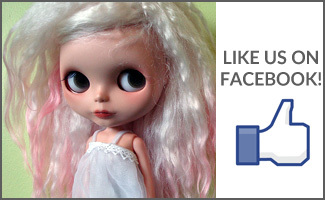 BlytheLife.com » Why Do You Love Blythe? 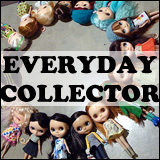 I love Blythe because of the lack of discrimination I myself am about half the average collectors age – yet I feel that I am totally able to talk to the community without fear of being told I am too young to play with dolls. Yes! I’m really young for this hobby too, but I still feel like I’m treated like an equal. I was going through an intense period of anxiety, and I needed something to distract me. A few weeks later, I received my Mandy Cotton Candy from eBay and *whoooshhh* all my anxiety took a huge backseat for a little while. Like most people, my work and life can make me feel a little out of whack sometimes. Which is why Blythes are an amazing distraction. 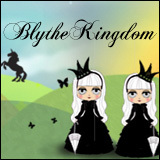 For me, Blythe has been such a source of inspiration. Having her to make things for has encouraged me to explore talents I might never have otherwise figured out I was interested in (writing and publishing knitting patterns, drafting sewing patterns, etc). I love that there are almost endless things to create that go along with Blythe. Part and parcel of this inspiration has been the Blythe community. I was originally introduced to her by a friend who works in the same profession I do, and since then I have met (and online “met”) so many wonderful people! 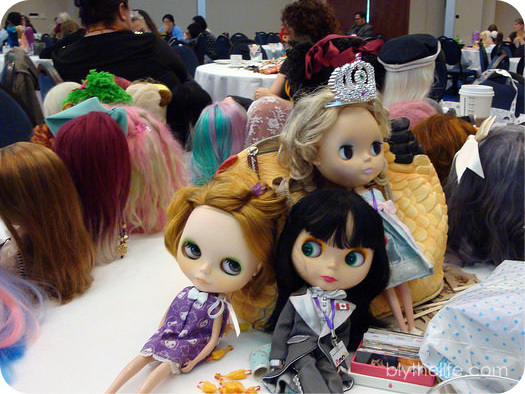 Blythe dolls are incredibly innocent and childlike, and they aren’t as expensive as other collector’s dolls(like BJDs, for example). And just holding one or seeing one on display is comforting to me – they are just so joyful!